As Modern Mormon Men, we know the value of surrounding ourselves with images that convey love and understanding. 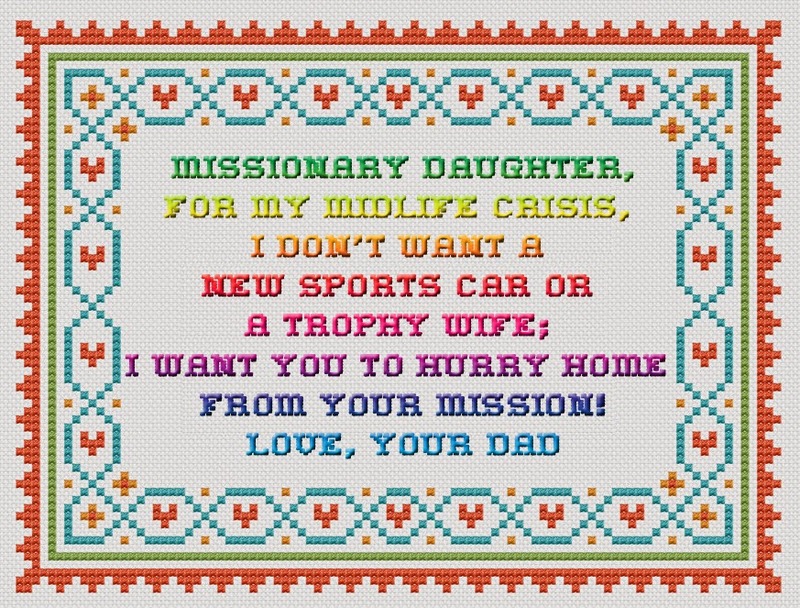 And what could convey those feelings better than a cross stitch? 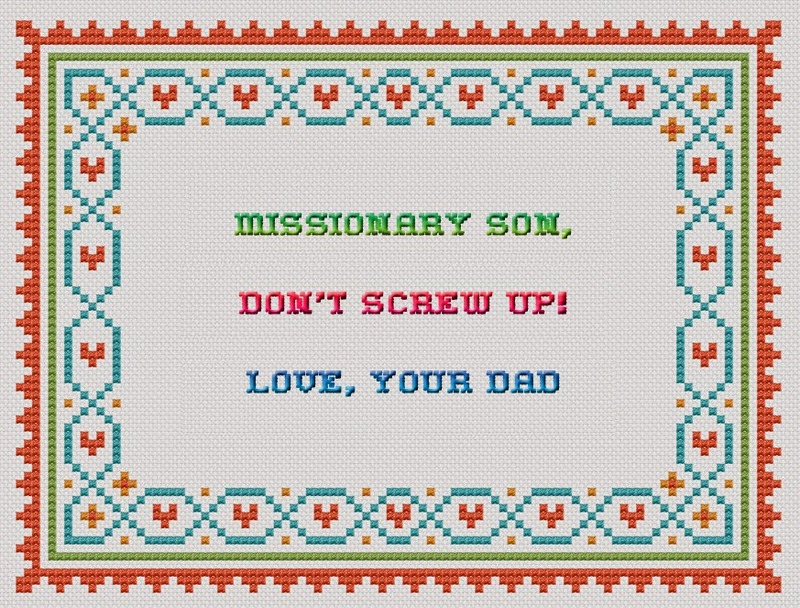 The below cross stitches are part of a new and hopefully ongoing series, cross stitches that you can make for your own home. 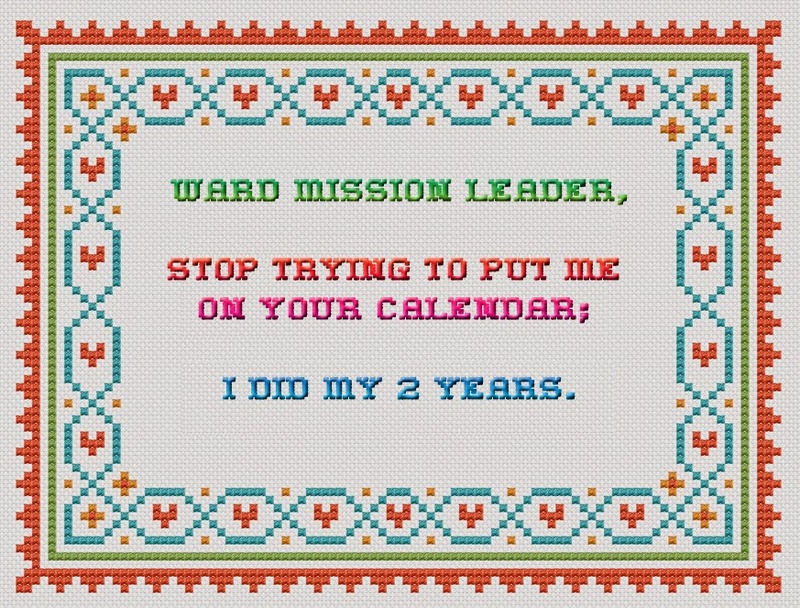 Knowing how many of you regularly cross stitch messages like the ones given below, please add yours to the comments.